Discreet Pager-like Device will Help you Never Forget to Take Your Meds Again! 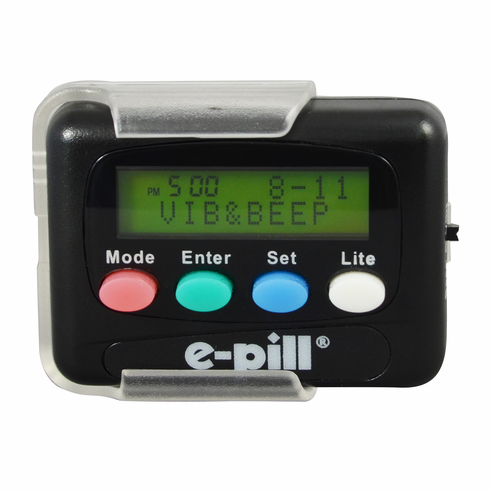 This pager sized e-pill medication reminder fits in your purse or wear it on your belt. No Reset required - the e-pill Pager device will alarm at the same time everyday! It also has a count down timer. Alarm Duration: Holds 25 Aspirin sized tablets per Dose.